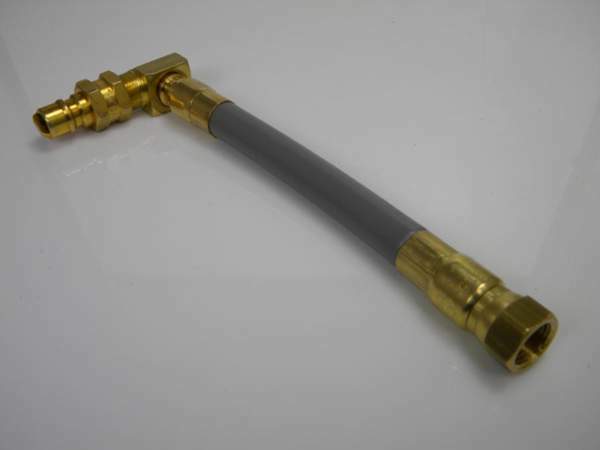 Used for quick connecting outdoor gas appliances when utilizing the MB Sturgis In-Ground Commercial Gas Outlet Vault. 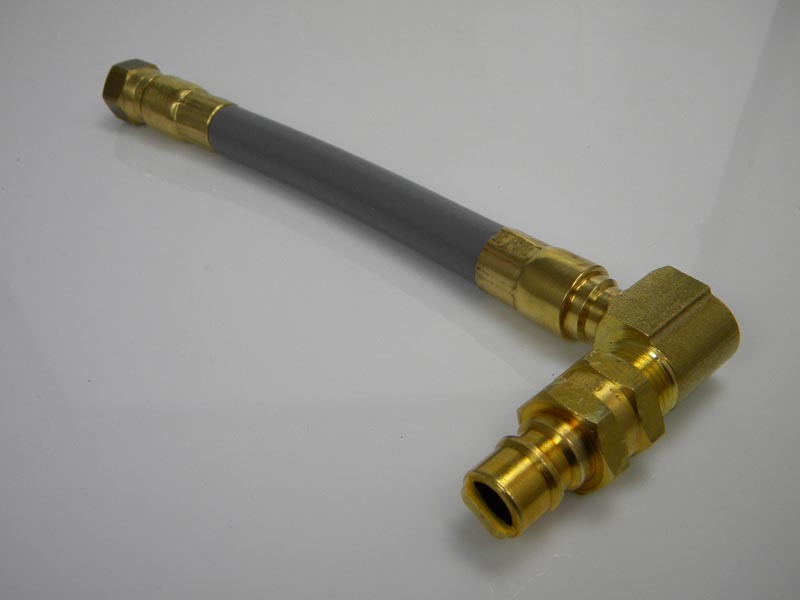 HOSE DESCRIPTION – 3/8″ ID Stripwound Hose with a 90º Male Plug X 3/8″ Female Flare Swivel. 8′ Overall Length. Can be custom made to any length.